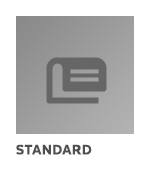 This draft standard is being circulated for a 45-day period of public comment period. Comments received during this period will be considered and answered. Commentors who have objections to/suggestions for this document should so indicate and include their reasons. The Public Review period will extend from July 3, 2009 to August 17, 2009.